NGC 3597, also known as PGC 34266 and ESO 503-3, is a galaxy in the constellation Crater, approximately 147 million light-years away from us. Before infirmity sets in, some freshly formed elliptical galaxies experience a final flush of youth, as is the case with NGC 3597. 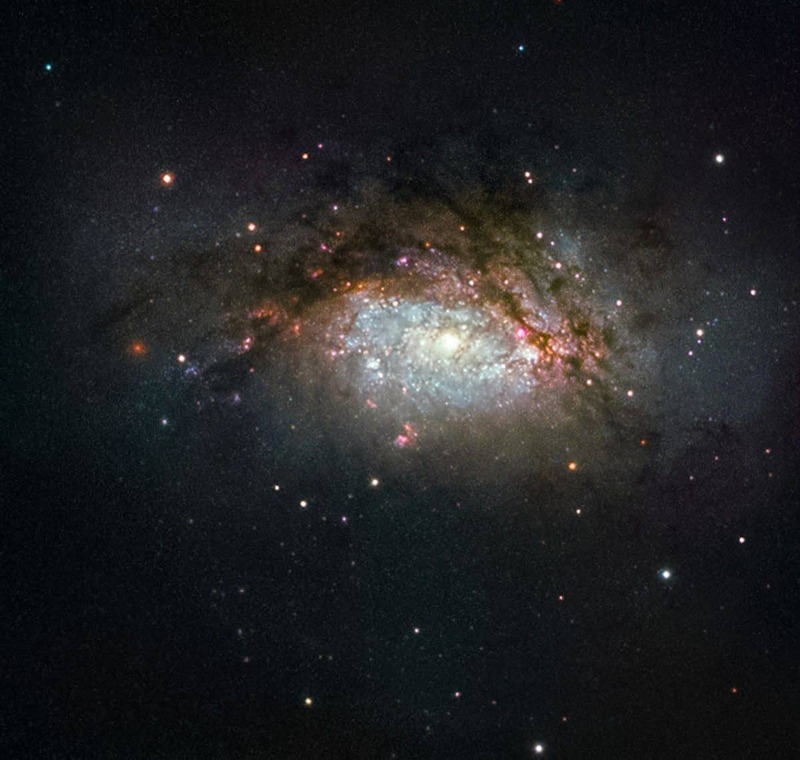 Galaxies smashing together pool their available gas and dust, triggering new rounds of star birth. Some of this material ends up in dense pockets initially called proto-globular clusters, dozens of which festoon NGC 3597. These pockets will go on to collapse and form fully-fledged globular clusters, large spheres that orbit the centres of galaxies like satellites, packed tightly full of millions of stars.